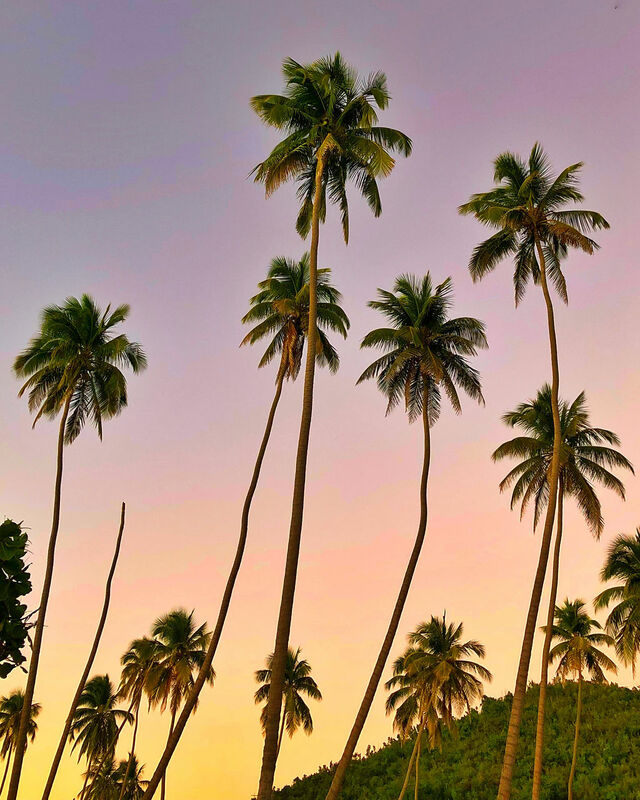 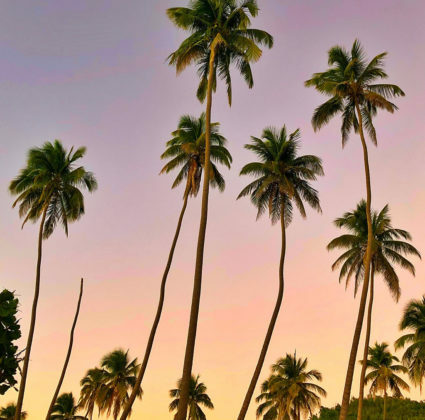 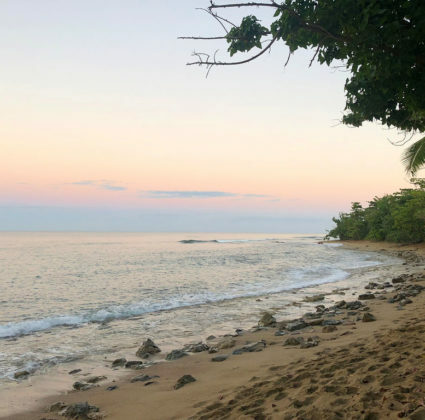 If you’ve been dreaming about taking the beach vacation of a lifetime with your family, then you might want to consider beautiful Puerto Rico. 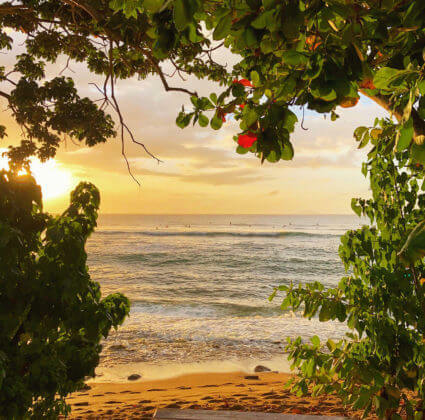 This temperate isle offers sun, ocean and surf for your family vacation, so even if you have a sunbather, a surfer and a beachcomber in your family, you can rest assured that Puerto Rico has a little bit of something for everyone. 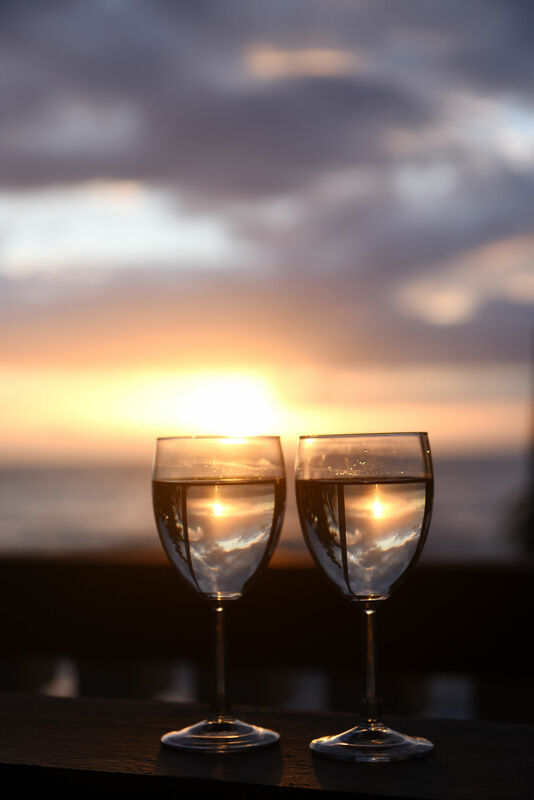 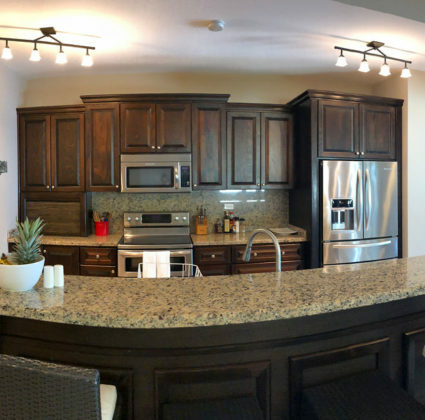 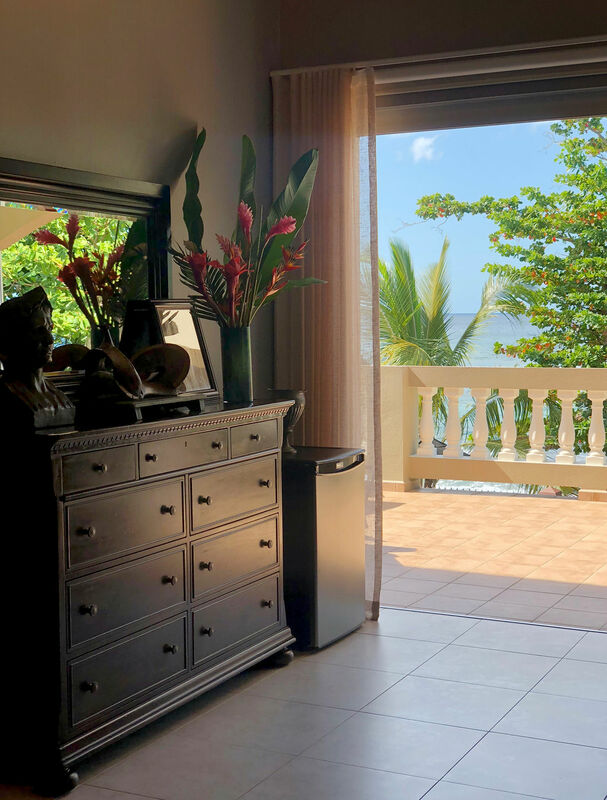 To make your vacation even more memorable, consider making your family beach vacation a luxurious occasion by staying at Maria’s. 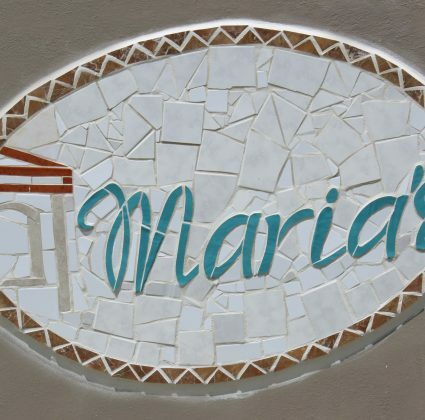 What is Maria’s? 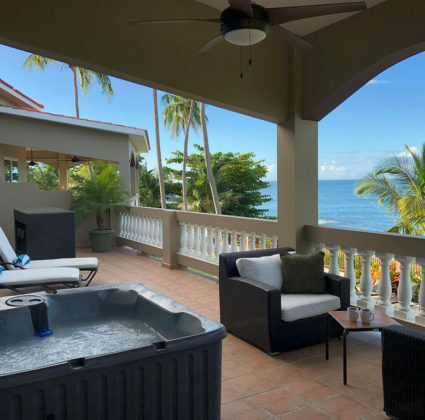 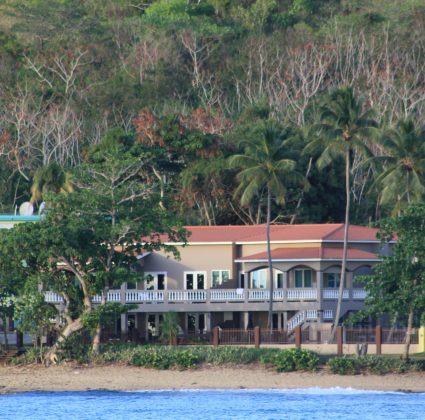 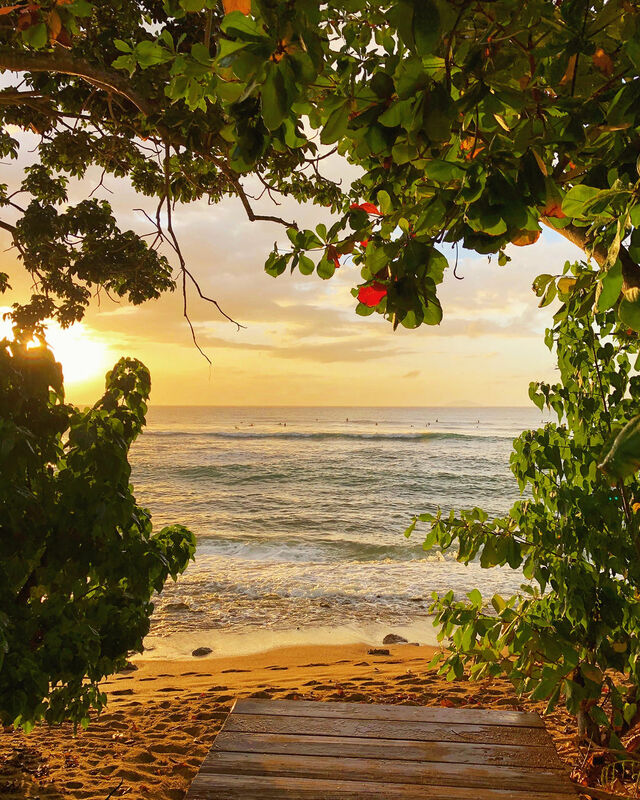 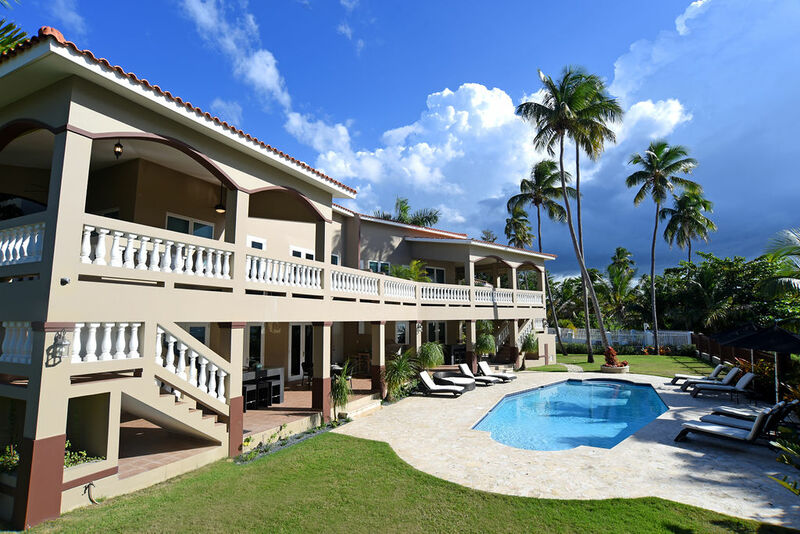 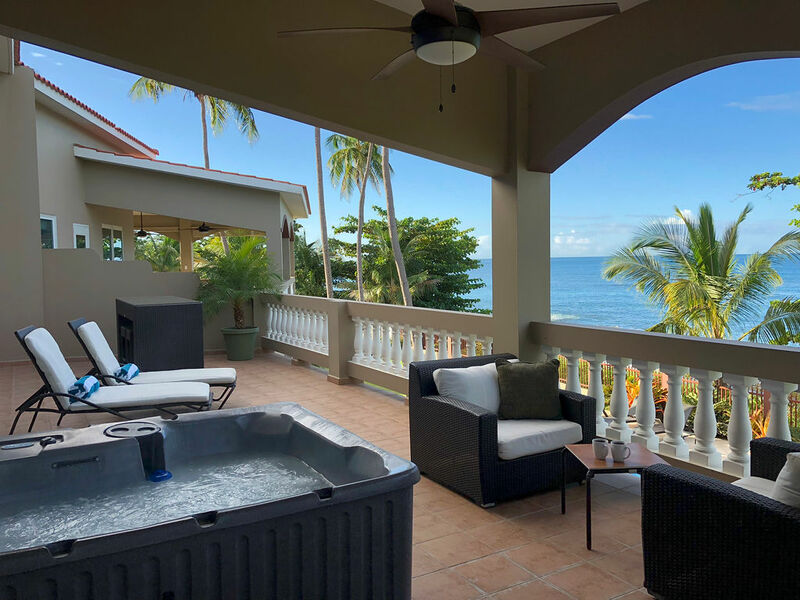 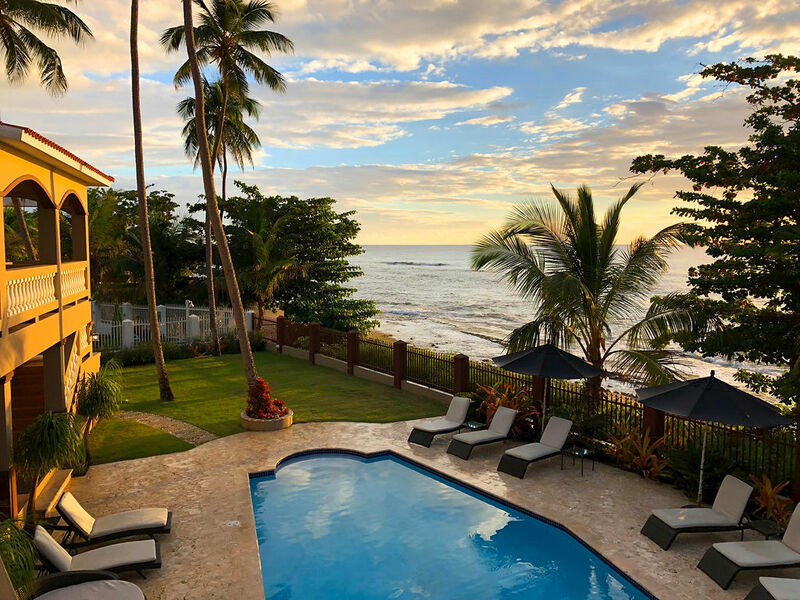 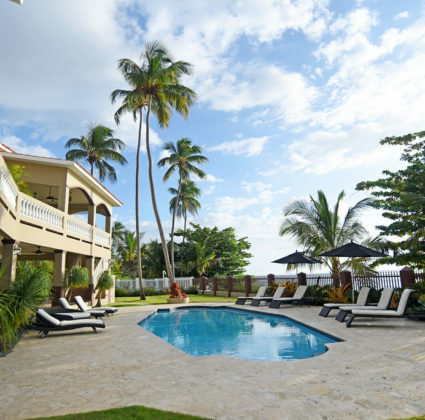 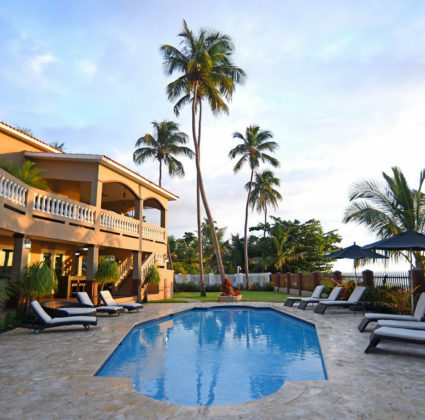 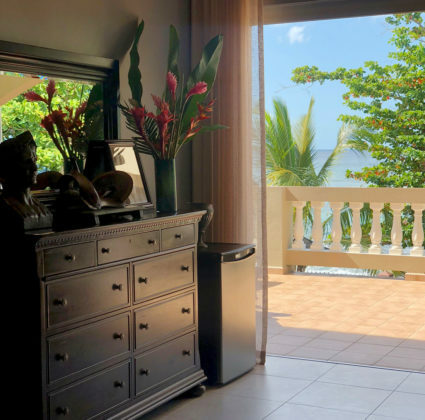 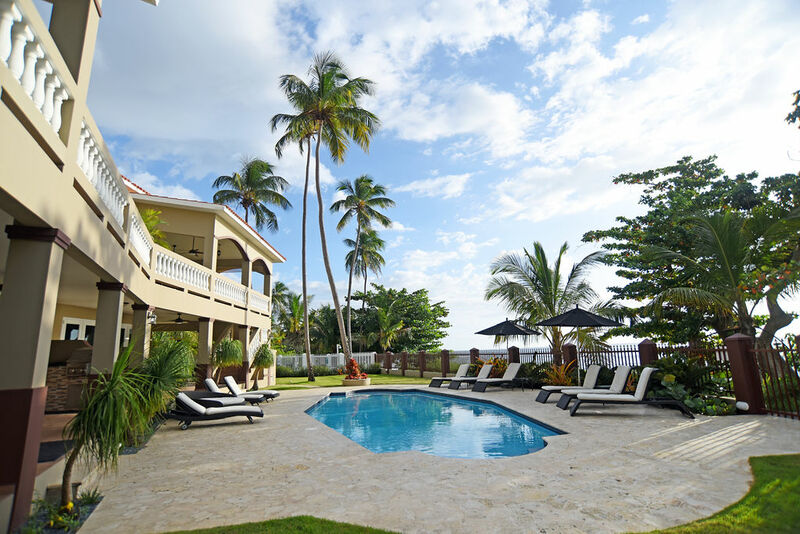 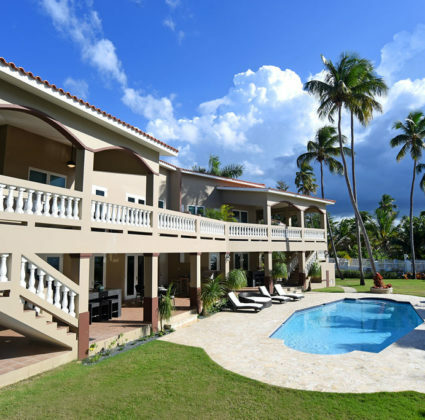 You’ll be excited to learn that we’re an exclusive waterfront vacation rental, located right on Maria’s Beach in Rincon, Puerto Rico. 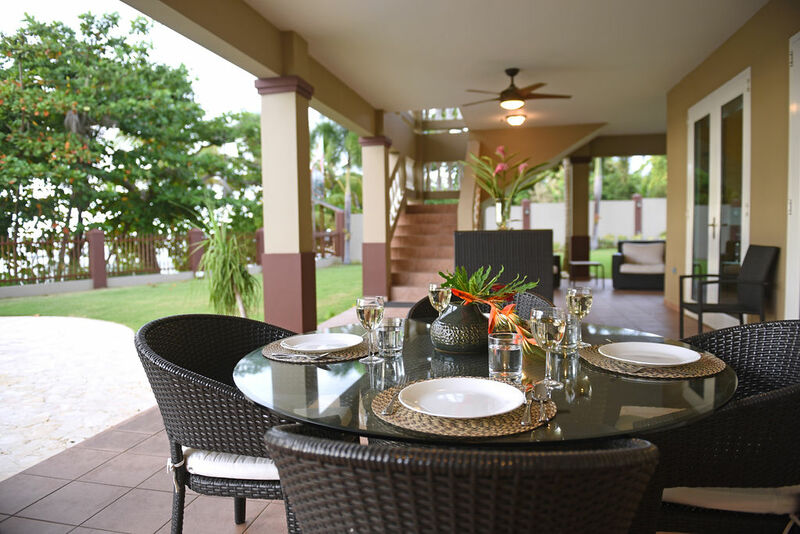 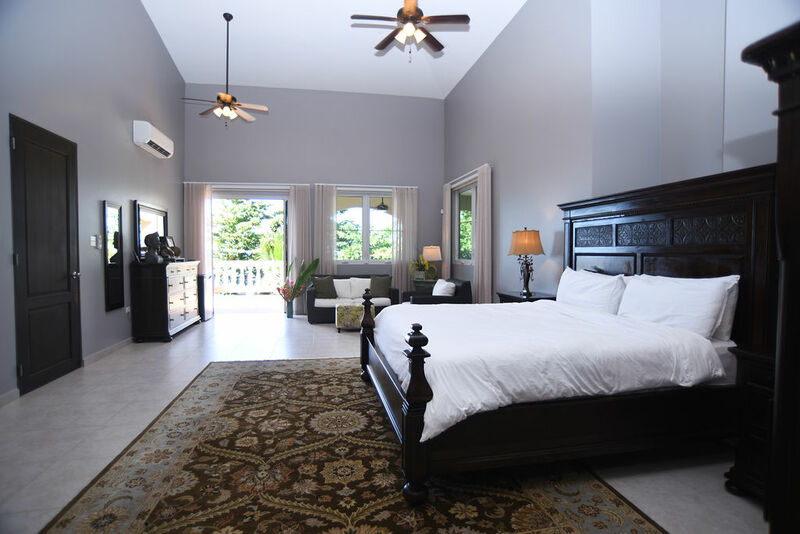 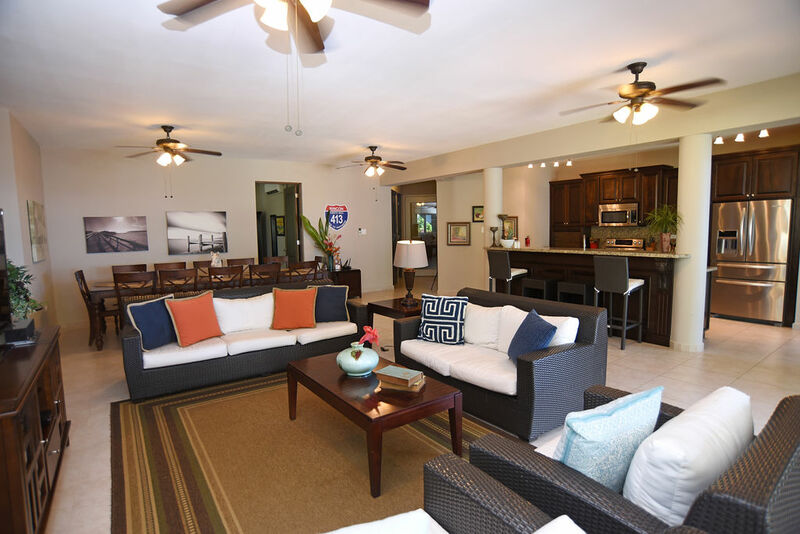 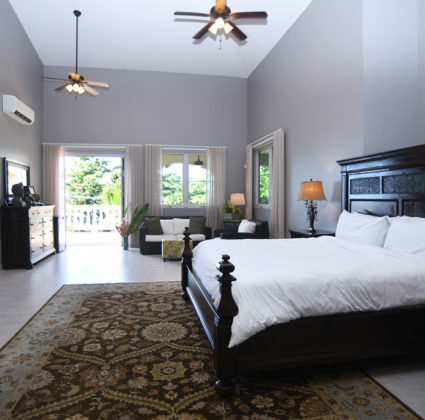 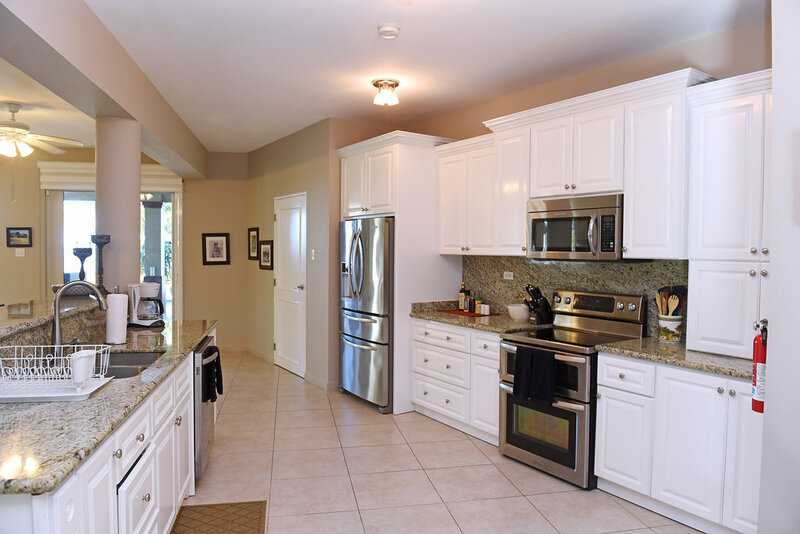 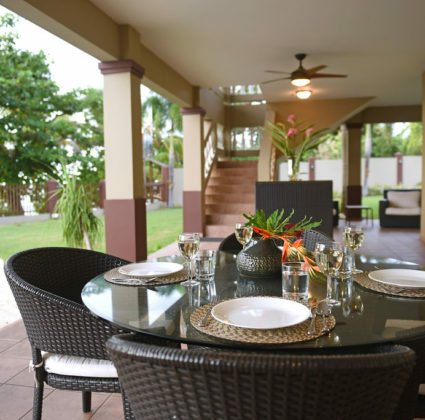 Our eight-bedroom villa is perfect for your family beach vacation – you can bring along your entire family! 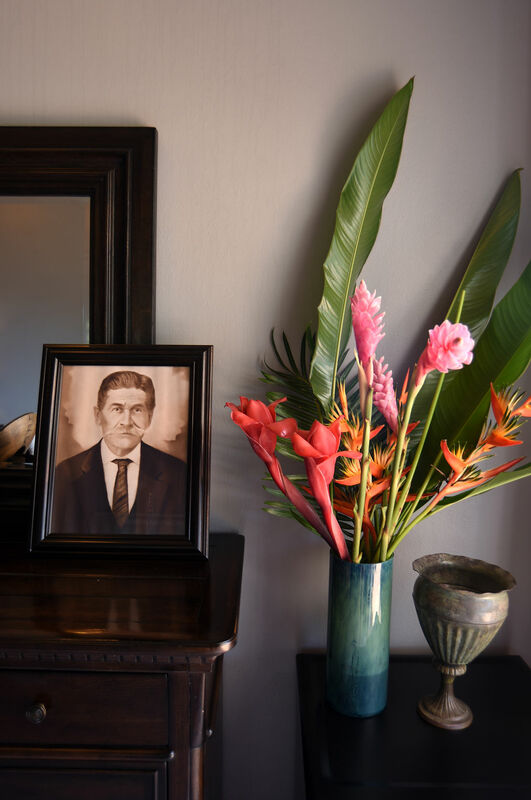 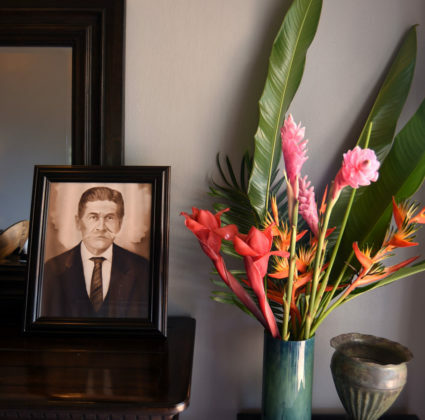 The resort and the beach are named for Maria Garcia, who lived on the beach for more than 50 years with her son, Ramon Acevedo Garcia. 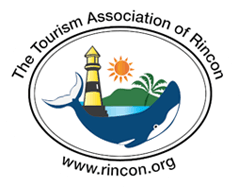 The two became beloved residents of the town of Rincon. 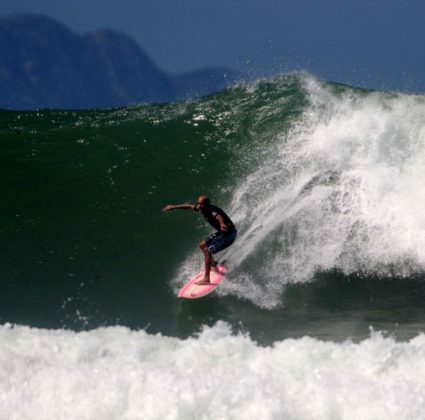 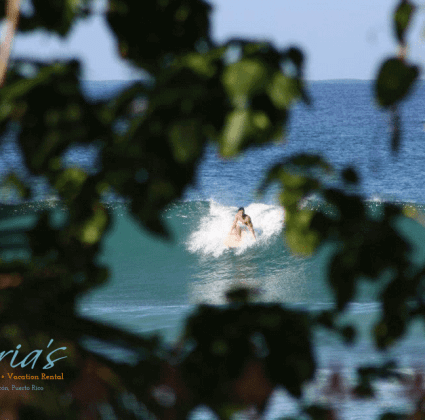 Maria was a surrogate host of the 1968 World Surfing Championship that took place on Maria’s Beach. 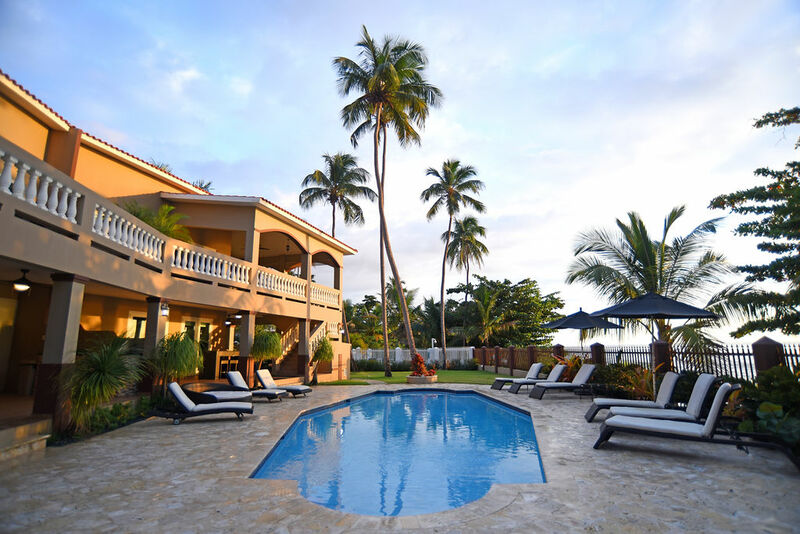 Maria’s is still owned by the Acevedo family, who has made Maria’s the family beach vacation destination it is today. 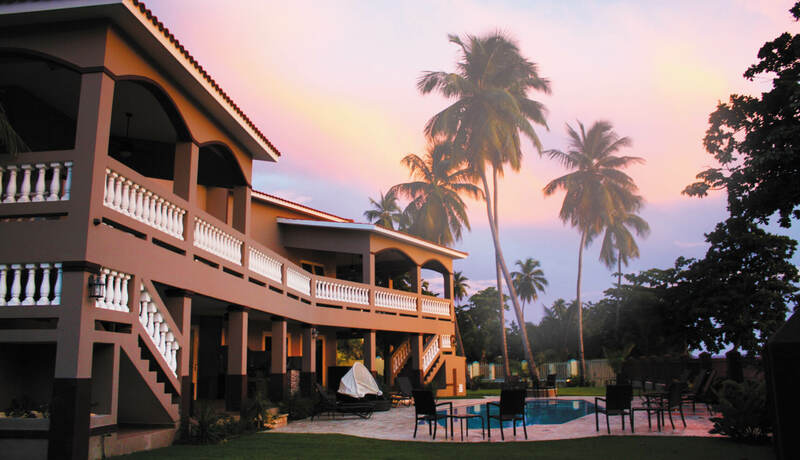 For a luxurious family beach vacation, choose Maria’s. 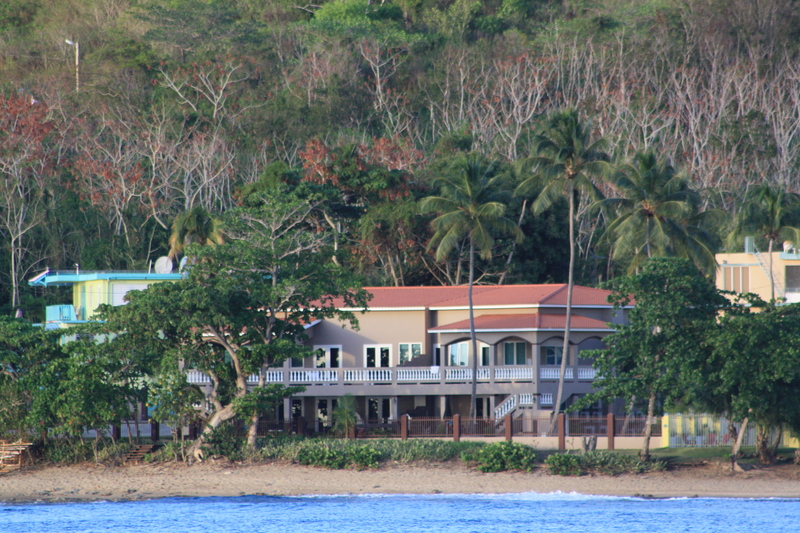 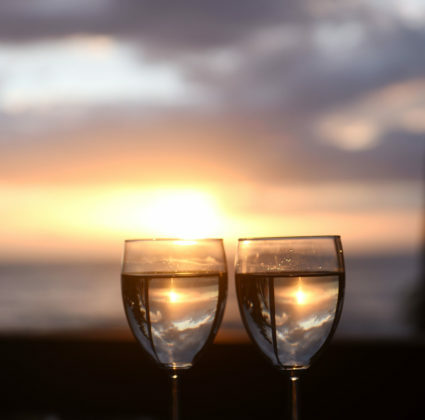 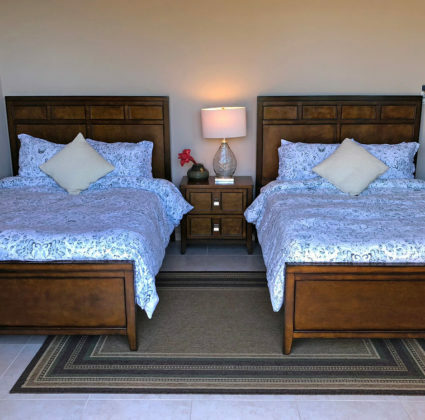 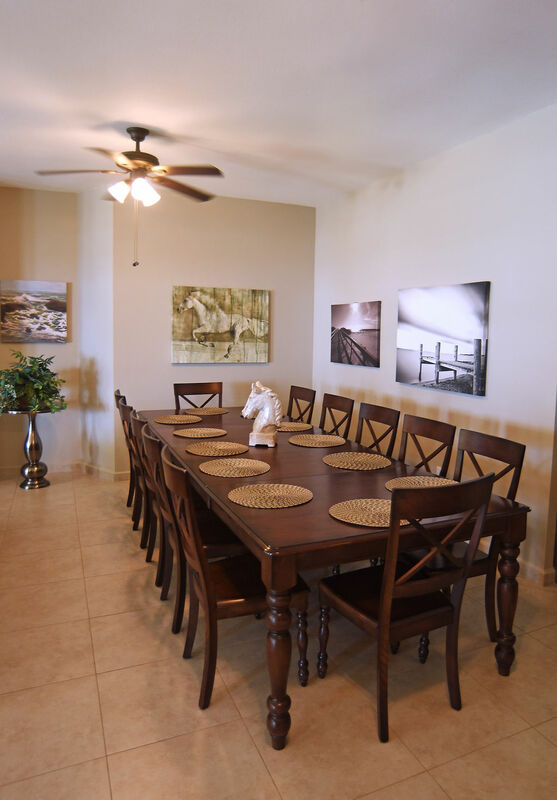 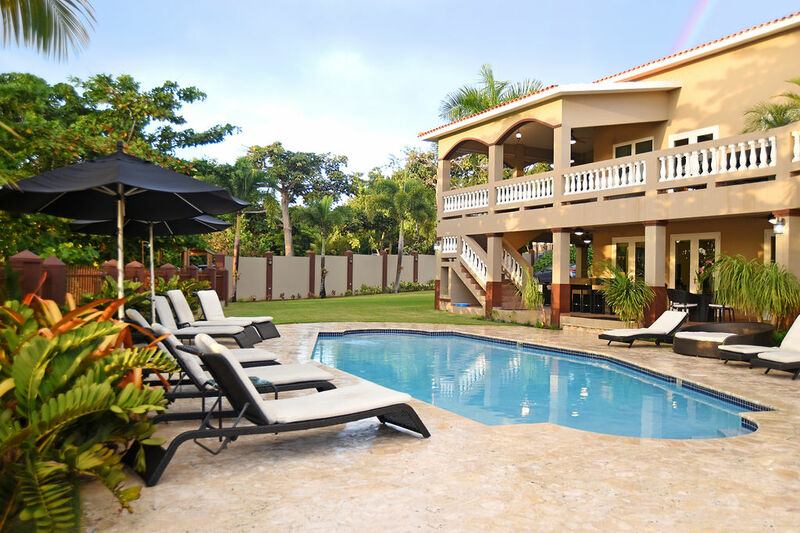 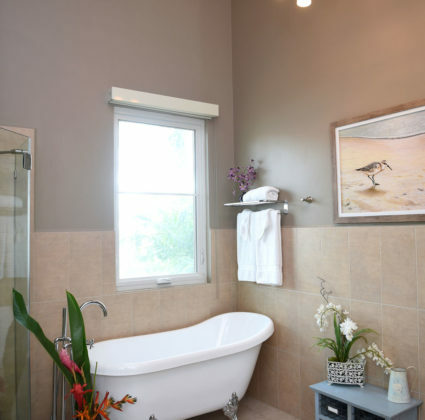 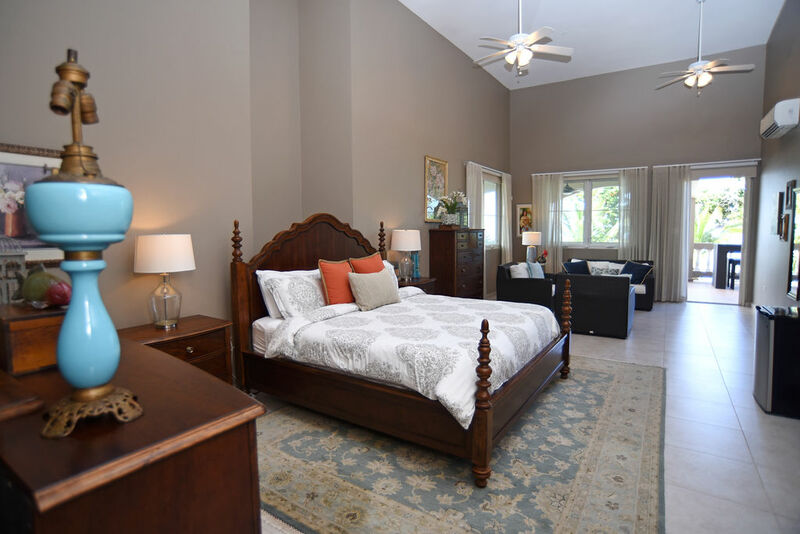 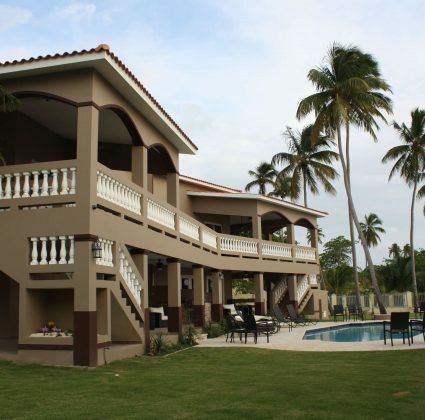 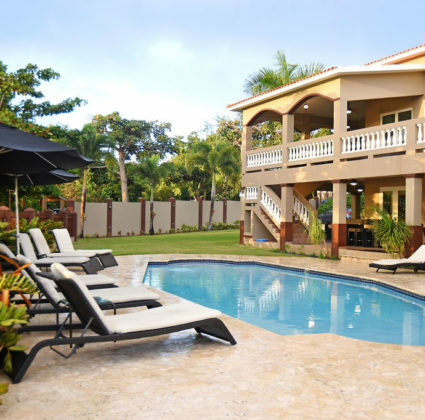 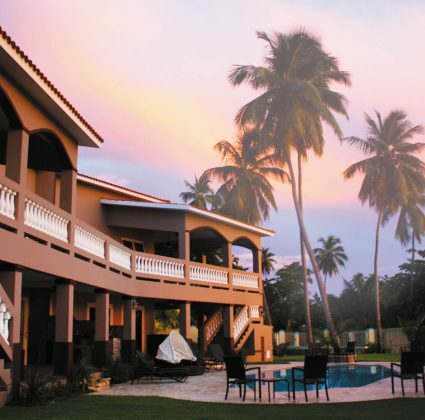 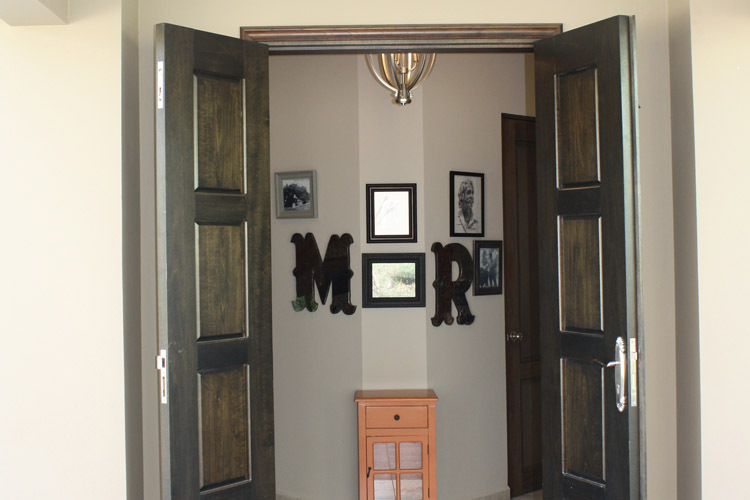 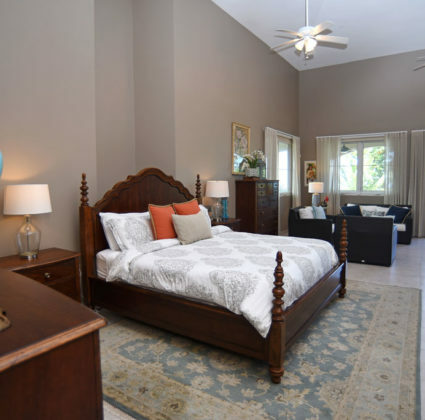 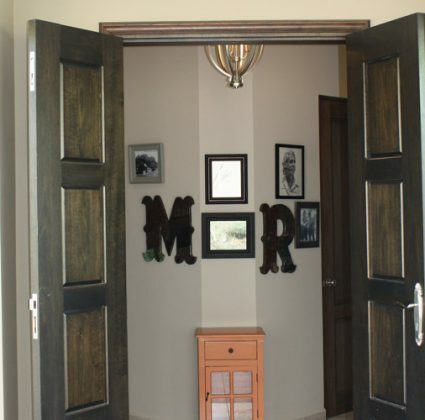 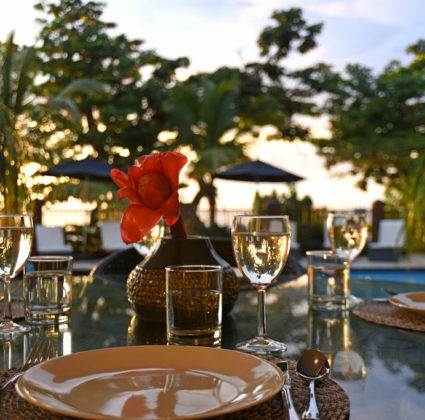 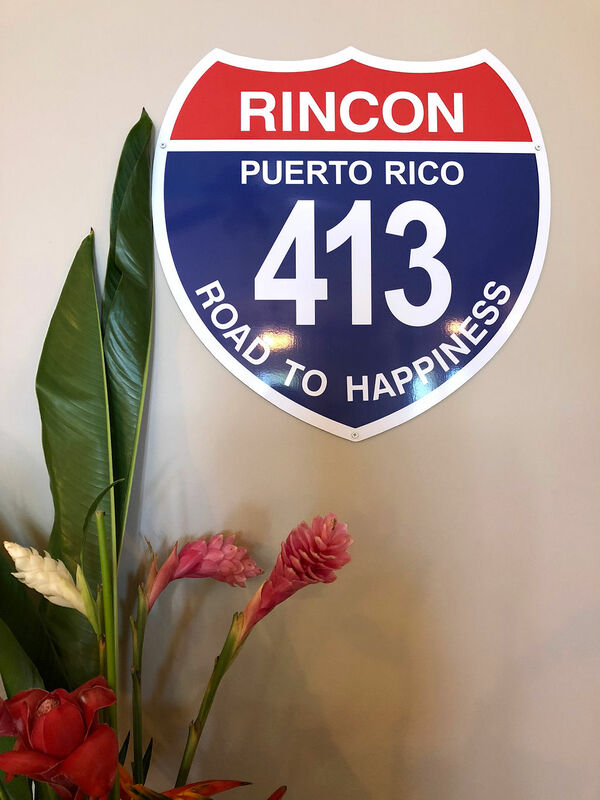 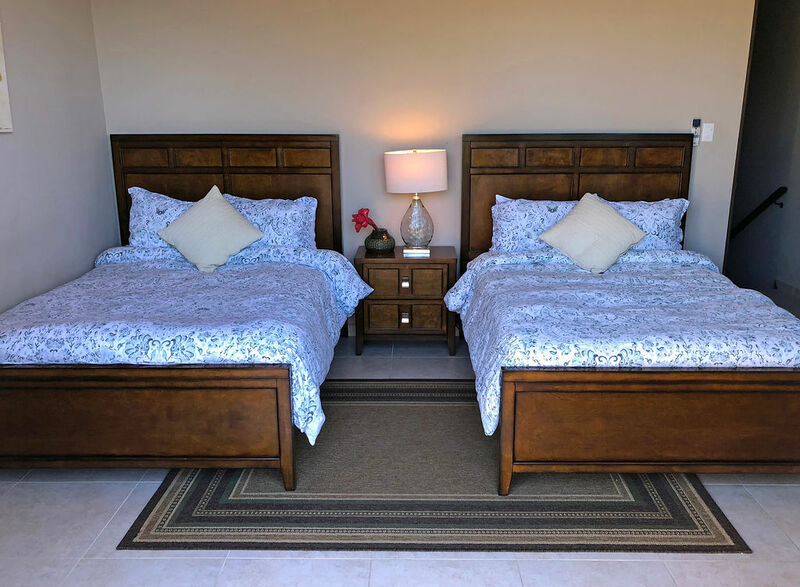 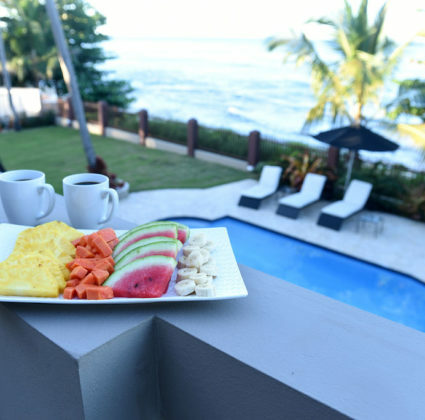 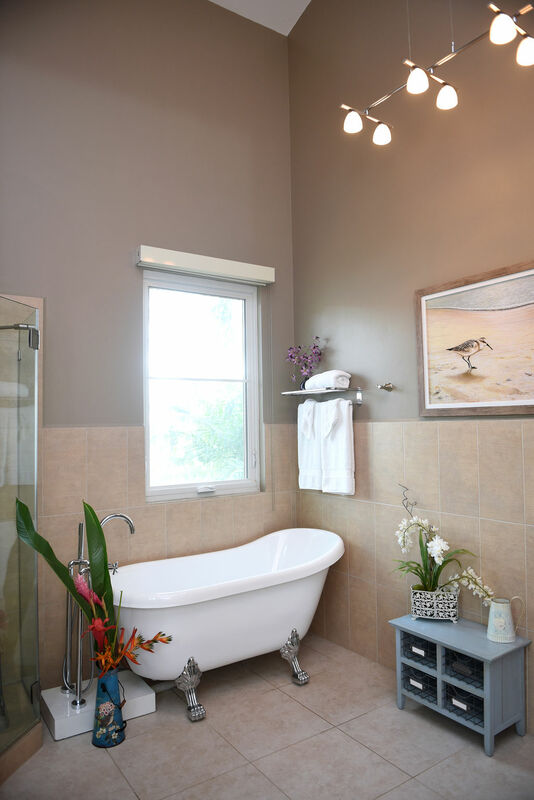 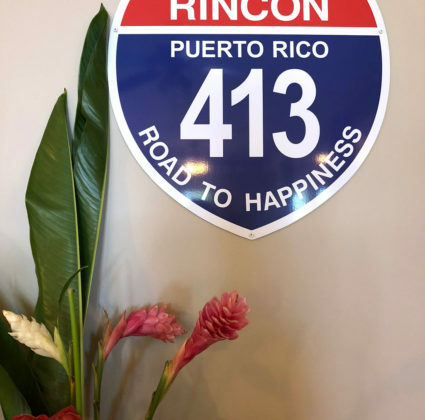 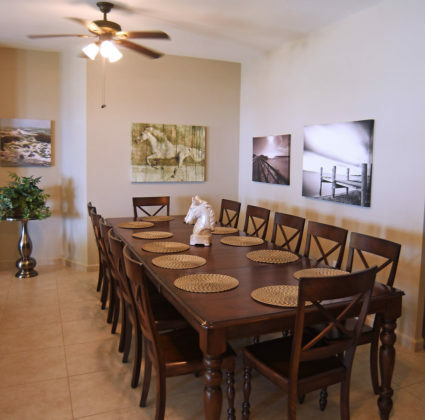 During your stay at Maria’s, you and your family will be able to enjoy all the sights and sounds Rincon has to offer. 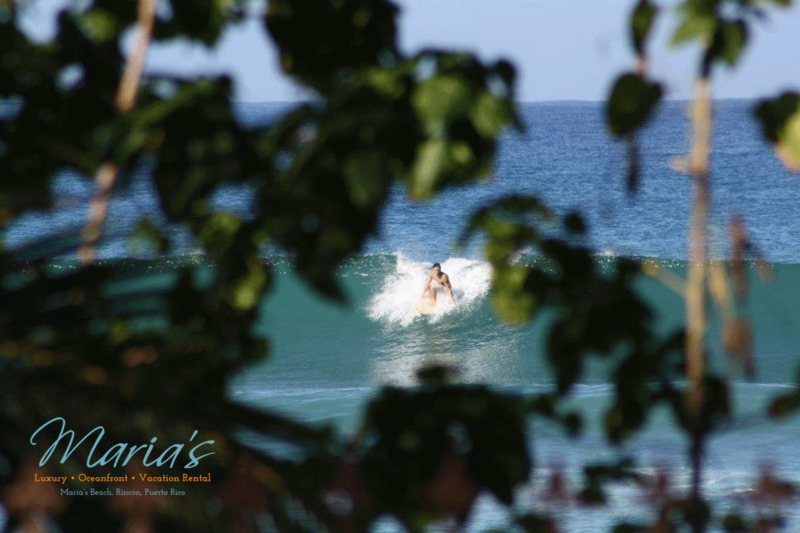 Surfing, snorkeling, diving, paddle-boarding, fishing – if you love anything to do with the ocean, you’ll love Maria’s! 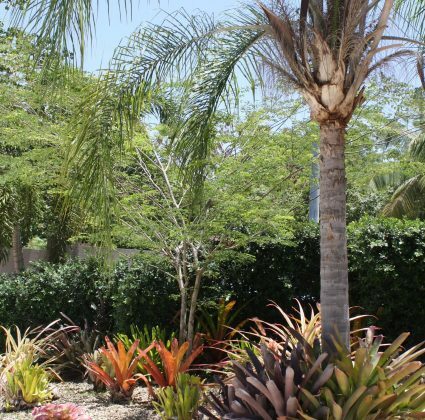 For the kids (and the kids-at-heart), why not enjoy a day of fun at the Las Cascadas Waterpark or at the Mayaguez Zoo – or both! 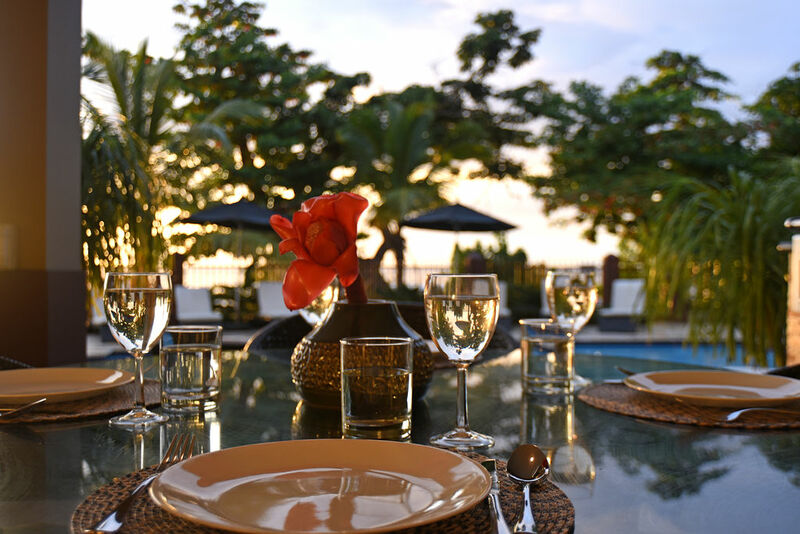 And, there are a number of dining experiences you can enjoy, just steps away from Maria’s. 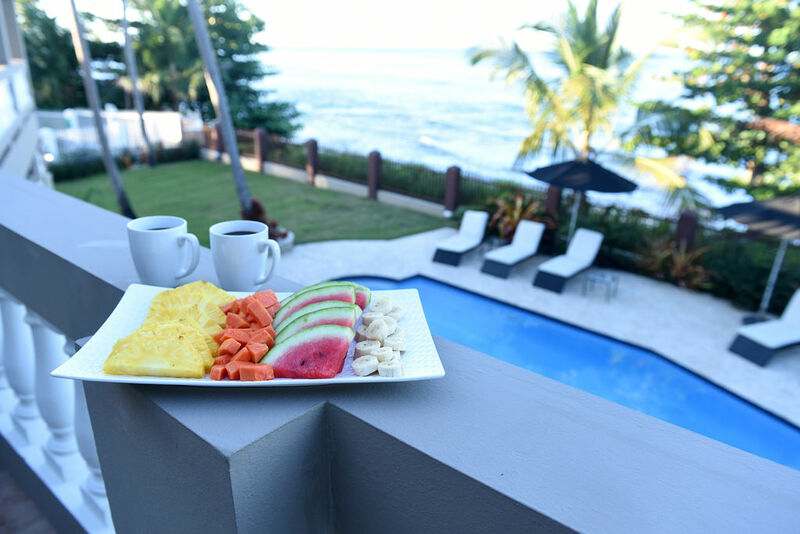 Whether you want to experience authentic Criollo cuisine, enjoy a few drinks at a poolside bar, or just grab a burger, there are many taste experiences that await you on your family beach vacation to Puerto Rico! 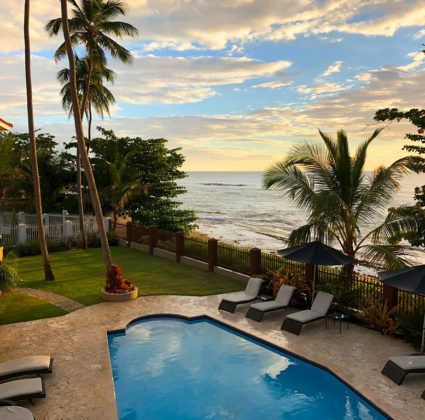 When you’re ready to book your family beach vacation to Puerto Rico with Maria’s, we’re ready to help! 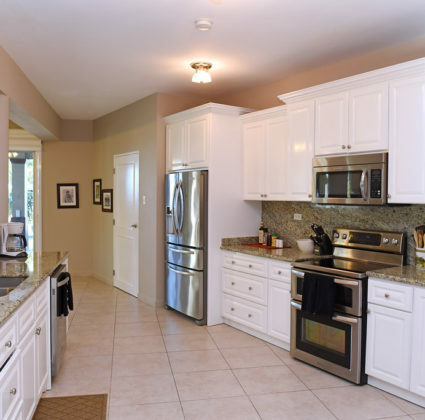 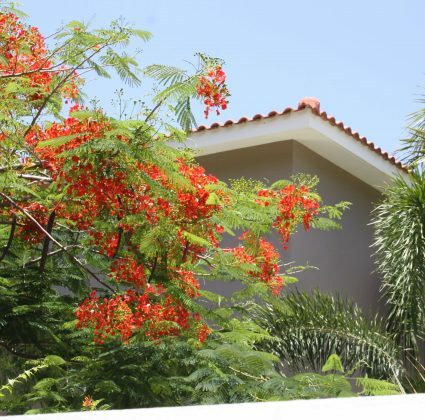 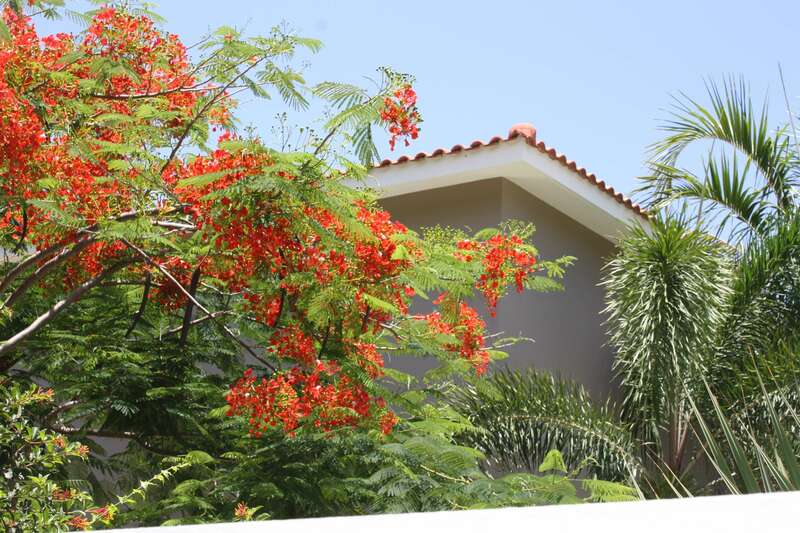 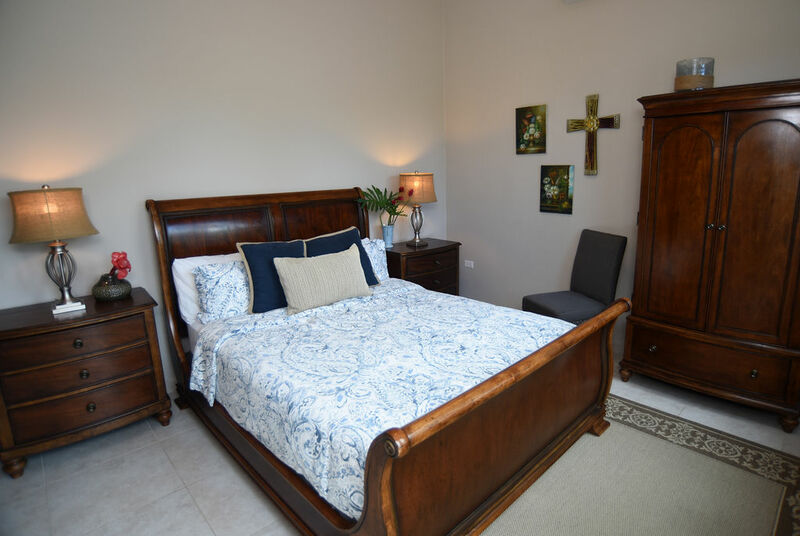 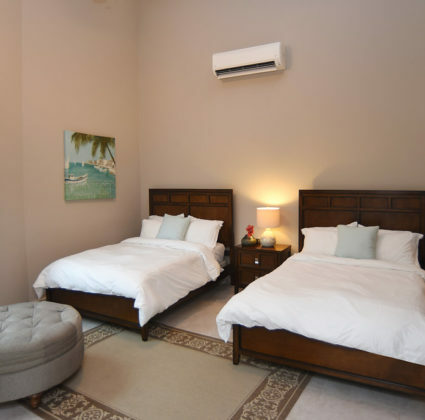 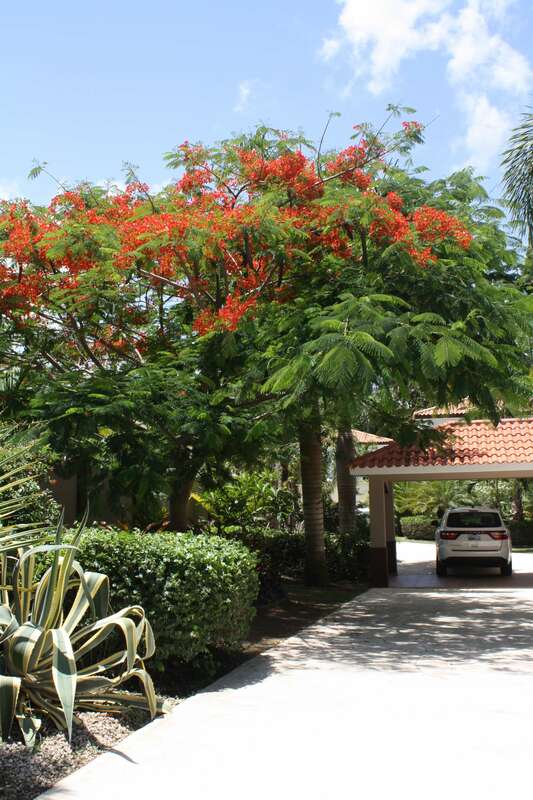 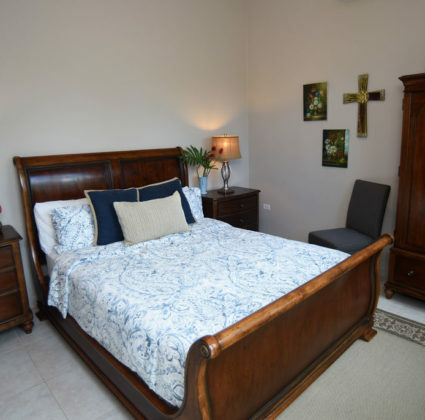 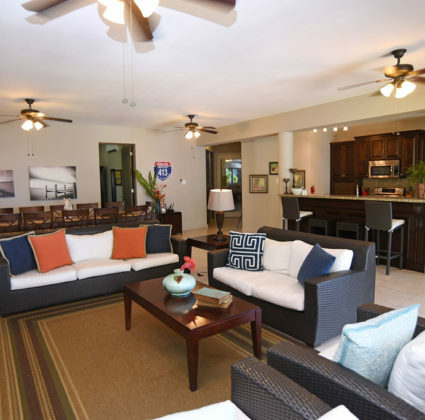 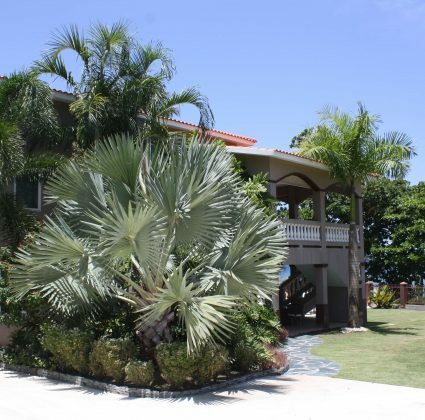 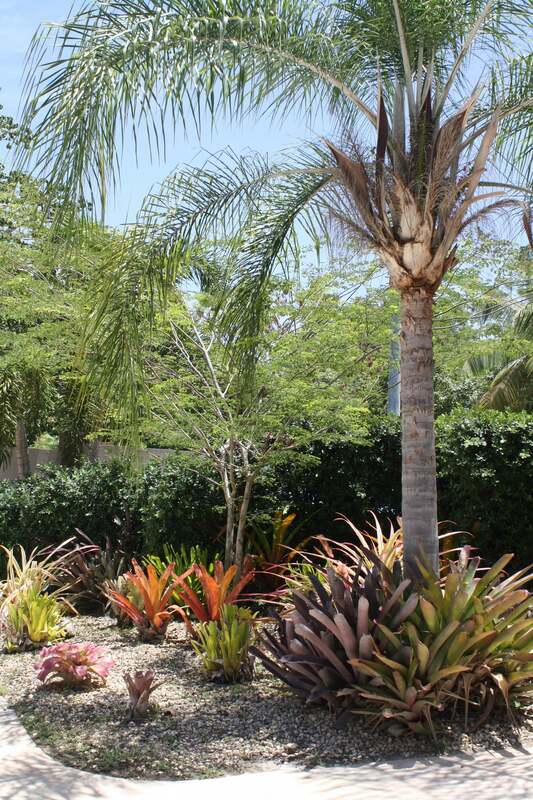 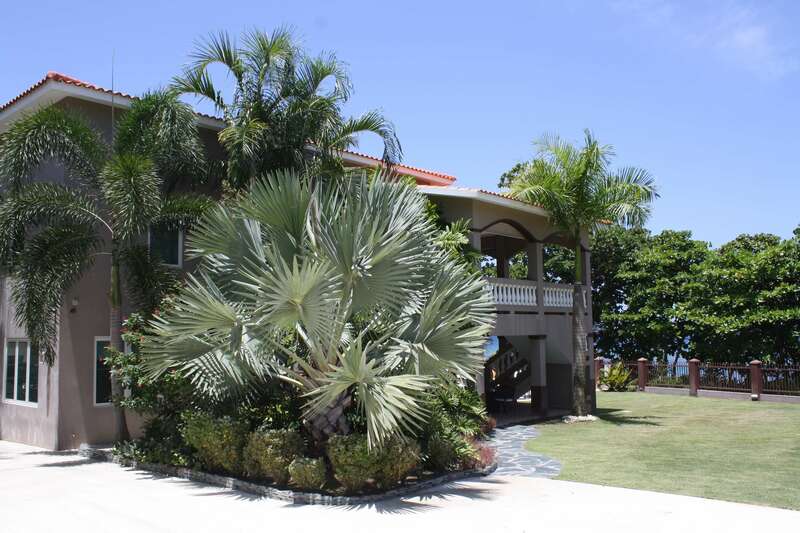 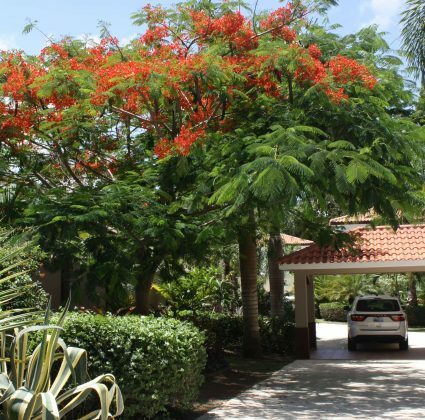 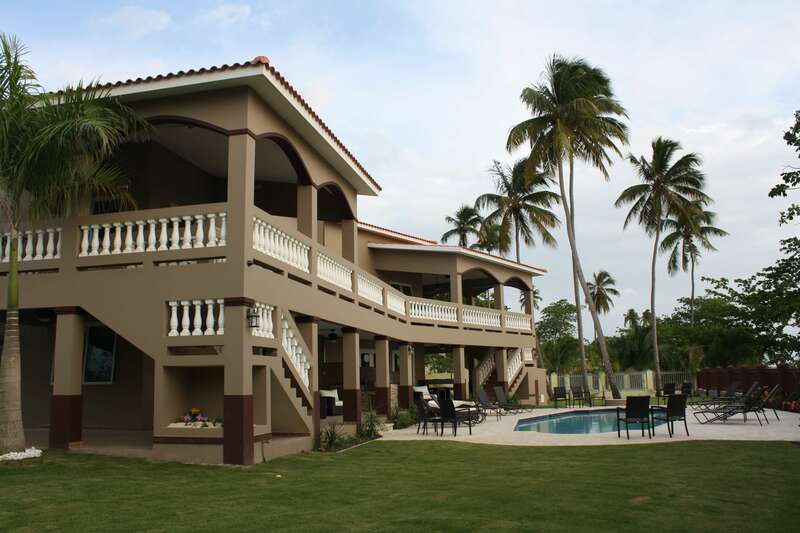 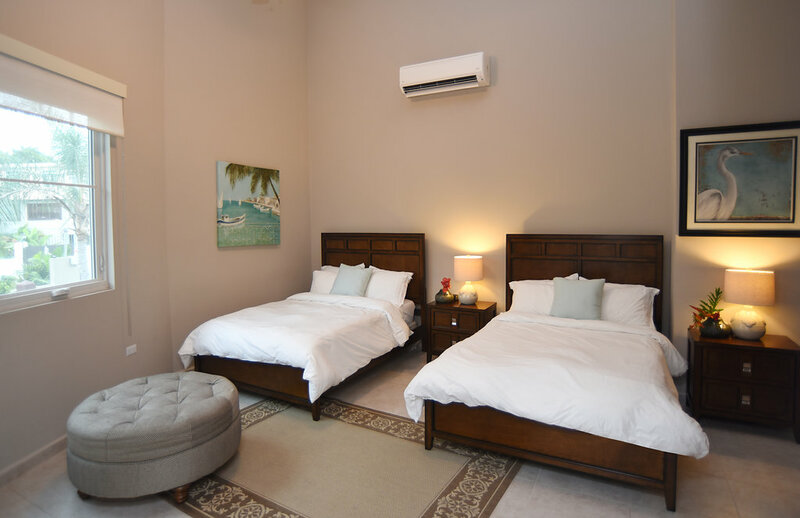 Our booking is done through Twin Palms, Maria’s rental and onsite management. 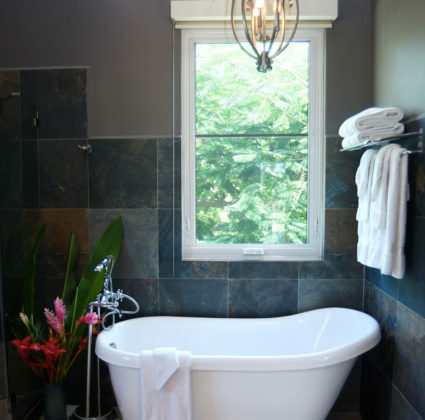 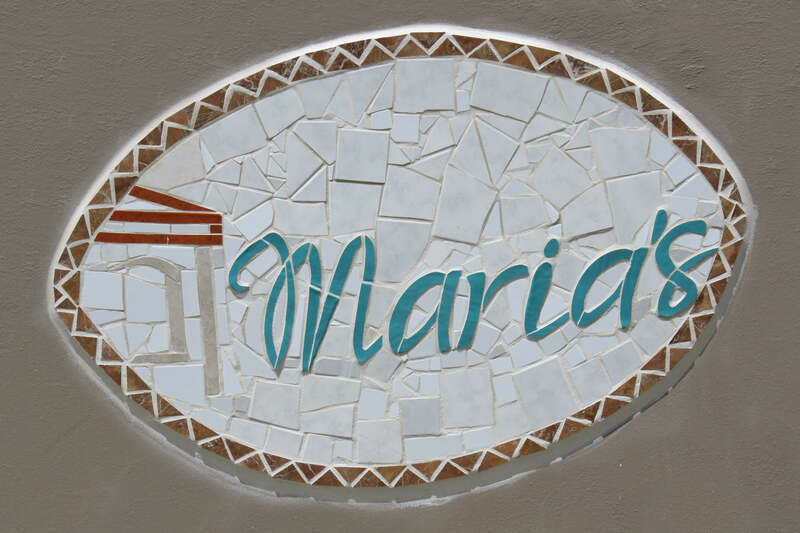 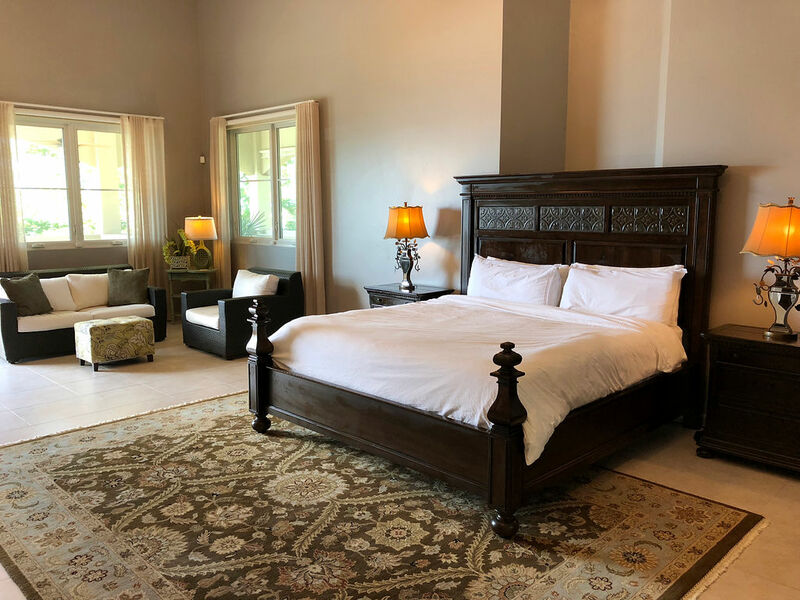 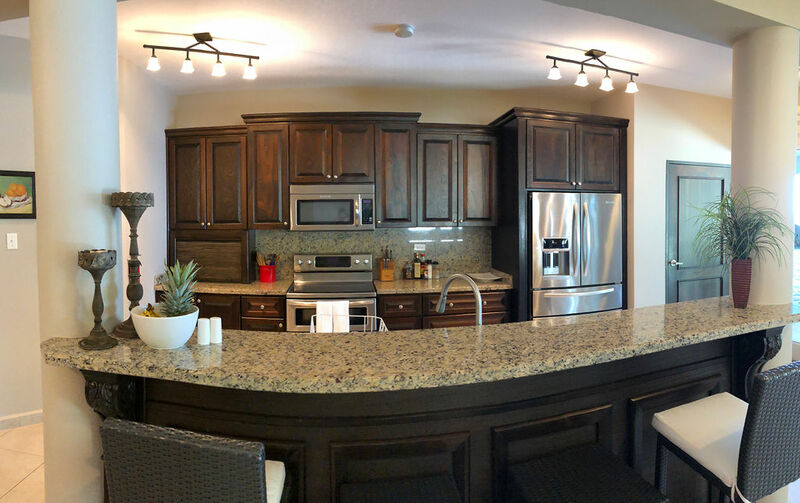 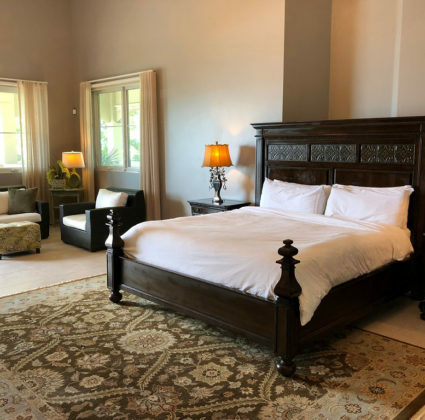 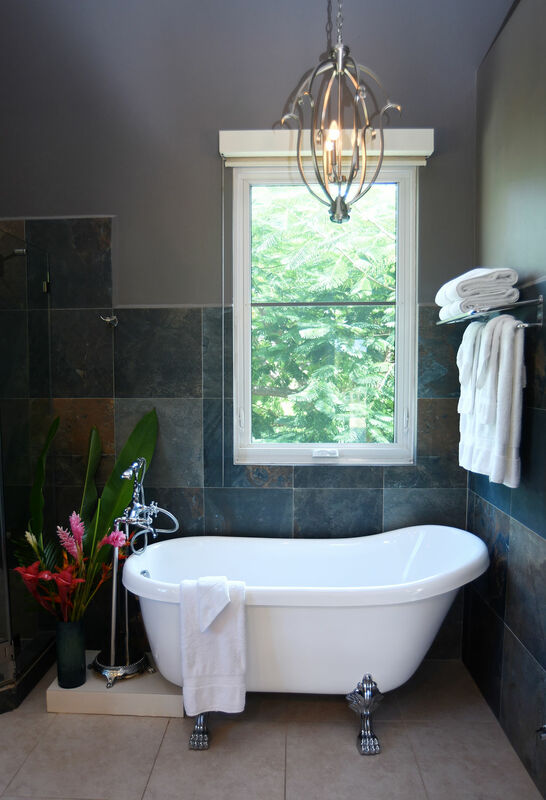 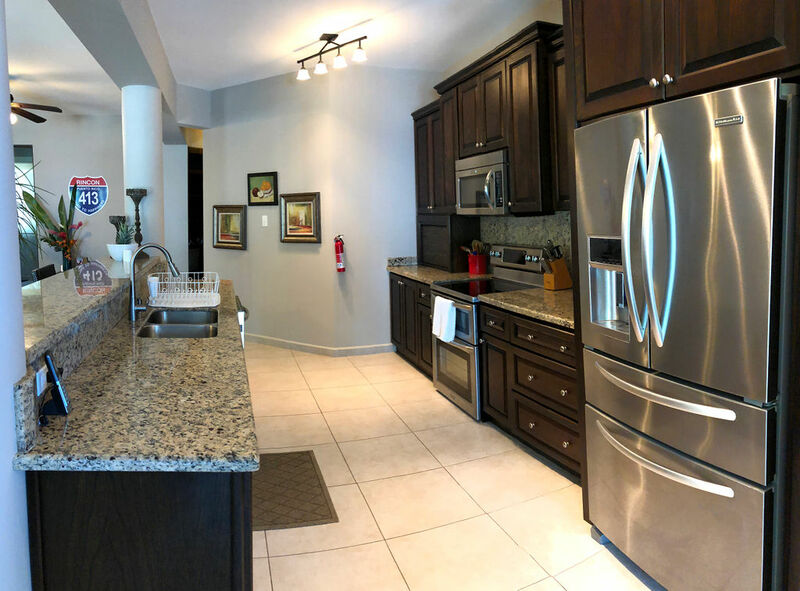 Please visit our booking page on this website to view the availability of Maria’s and fill out our convenient contact form below. 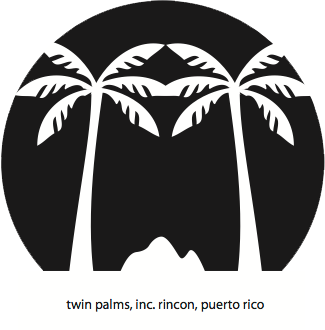 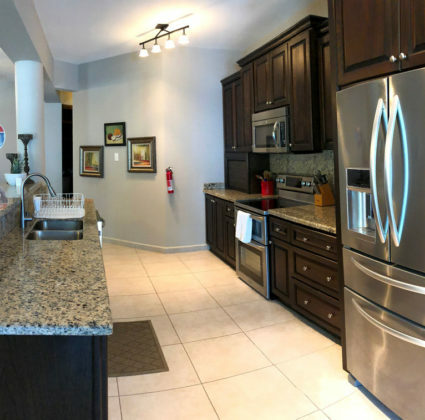 If you have any additional questions regarding Maria’s, you may call Twin Palms at 787-685-6648 (español: 787-233-9815). 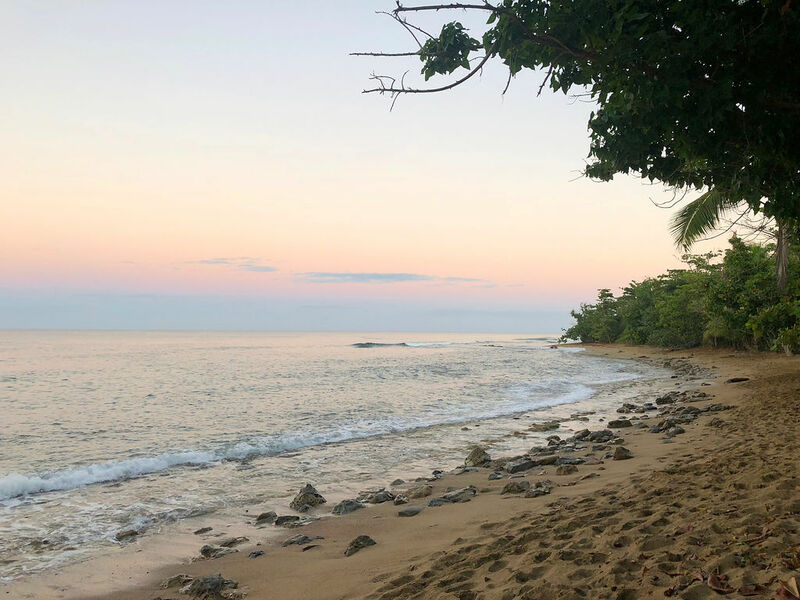 Thank you for planning your family beach vacation with us!